Based on the best-selling Manga series, Trinity Seven follows high school student Arata Kasuga whose life changes after the disappearance of his cousin and childhood friend on the day of the Black Sun, which causes the "Breakdown Phenomenon" of the world by evil forces. Arata is approached by Lilith, a teacher at a mystical school, to help save the world from the Breakdown Phenomenon, along with a group of magicians knows as the Trinity Seven. 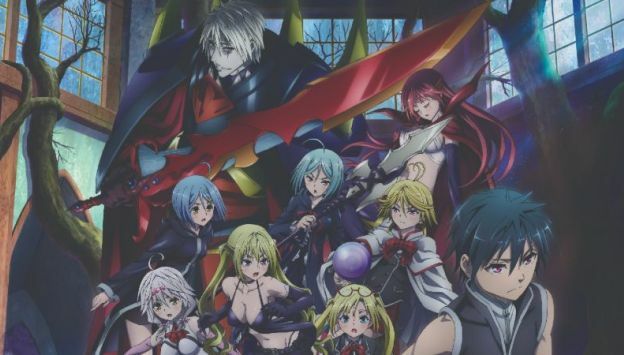 Heavens Library & Crimson Lord brings back Arata, Lilith and the rest of the Trinity Seven to face off against the greatest enemy in the history of the Trinity Seven - Lilith’s own father, who is revealed to be the strongest Demon Lord.